The pace of iOS innovation has been so intense that even Apple couldn’t keep up. In some ways, iOS 11’s main feature was that it was packed with bugs, with autocorrect bugs, messages arriving out of order and the Calculator app not calculating properly. iOS 12 is a nice change of pace. “For iOS 12, we’re doubling down on performance,” Apple’s SVP of Software Engineering Craig Federighi said at WWDC. While there are a few interesting new features, iOS 12 isn’t a splashy release like the ones that were released over the past few years. It doesn’t change the way you use an iPad and it doesn’t open up apps with new hooks across the board. It’s clear that all the low-hanging fruit has been addressed. Now, Apple is mostly adding new frameworks for specific categories of apps instead of releasing major platform changes that affect all third-party apps. And for the rest, it’s all about refinements, bug fixes and optimizations. Apple released the first public beta of iOS 12 today. I played a bit with early beta versions of iOS 12, so here’s what you should be looking for. Let’s start with the updates at the operating system level. iOS 12 should be faster than iOS 11, including on older devices. You know that feeling of instant regret when you update your old iPhone or iPad to a new version of iOS. Everything seems much slower. Apple wants to reverse this trend and make iOS 12 faster for the iPhone 5s or the iPad mini 2. Apps should launch faster, the keyboard should appear more quickly, the camera should be more reactive and more. It’s hard to feel that with a beta version of iOS 12, so we’ll have to look at that statement again in September. Other than that, there is another major theme for iOS 12 — making you look at your phone less often. And this goal is reflected with three new features — Screen Time, better notifications and a more granular Do Not Disturb mode. Screen Time is a brand new feature that lets you see how much time you wasted scrolling through feeds. You’ll get weekly reports and parents can set up app limits that sync across all your iOS devices. Do Not Disturb is now more granular as you can set it up for an hour, until the end of an event or until you leave a location. Many people didn’t want to use this feature because they forgot to turn it off. As for notifications, they are now grouped by default. In my experience, it takes a while to get used to it, but it’s a big improvement for noisy apps. You can also swipe on a notification to disable notifications from a specific app or turn them into silent notifications. You’ll feel more in control of your iPhone instead of feeling like your iPhone is controlling you. Apple couldn’t stop at those improvements and had to release app updates for its own apps. Let’s look at the most memorable ones. 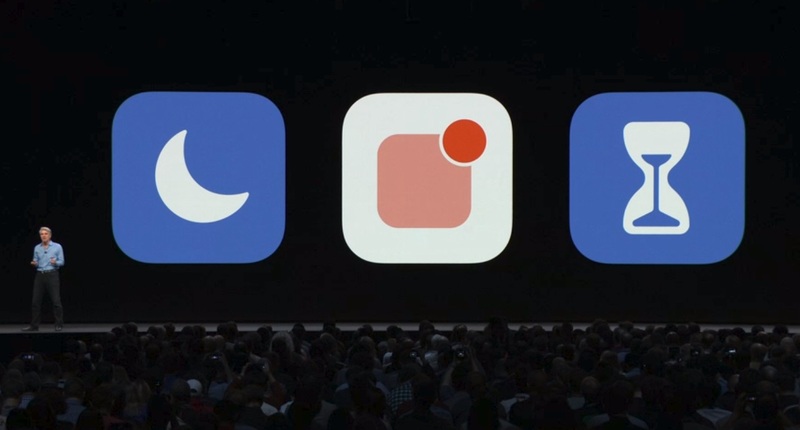 You can finally ditch Skype for good as FaceTime now supports group conversations — at least if all your friends are using iPhones. This feature alone will definitely increase iPhone stickiness, just like the fact that you can’t participate in iMessage conversations on Android. Talking about Messages, most iPhone users won’t see a difference this year as Apple focused on the iPhone X. In addition to new Animojis, you can now create your own avatar using Memoji. I have to say that I really like Snap’s Bitmoji, so I’m quite excited to use it. The only issue is that it feels like a one-way conversation if you’re not messaging someone who is using an iPhone X. It’s the kind of features that will start to make sense after a few years when everybody has Face ID on their iPhone. Four other Apple apps got an update. Stocks and Apple News received some design improvements. Voice Memos will now store your memos in iCloud and sync them with your iPad and Mac without using iTunes (finally). Lastly, iBooks is now called Apple Books, and it now looks more like the updated App Store. With iOS 12, Apple is pursuing its big bet on augmented reality and starting something new with Siri. Those platform changes could resonate well with developers and users or could become a distraction for everyone. Apple’s augmented reality SDK is getting a major update. With ARKit 2, developers can create apps that share the same augmented reality world between multiple users. You can imagine multiplayer games and shareable worlds. Apple also worked on improving the overall performance of the framework. But does it really matter? It feels like many geeks like you, TechCrunch readers, tested ARKit apps after the release of iOS 11. But there hasn’t been a mainstream hit so far. It’s still unclear if people actually want to use their iOS device to power an augmented reality experience. And the second big thing is Siri Shortcuts. After Apple acquired Workflow, the automation app for iOS, many people wondered what it would mean for automation fans. The good news is that Apple is completely embracing Workflow with a set of features. App developers can now configure Shortcuts to let users add to Siri a restaurant booking, a favorite Deliveroo order or a favorite sports team. On paper, it’s quite powerful and limited at the same time. It sounds like bookmarks for Siri. Most users will stop at suggested shortcuts. 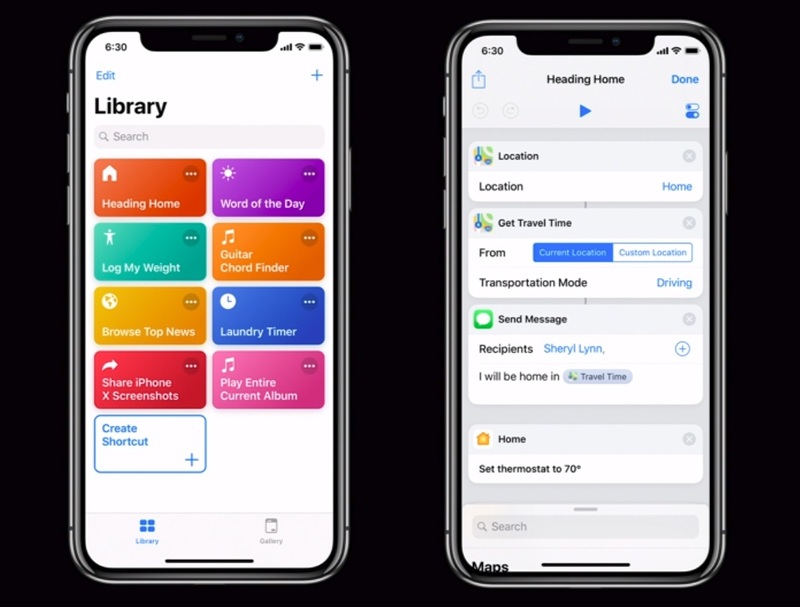 But power users will be able to configure multi-step workflows in the new Shortcuts app. It’s just like Workflow, but with a new name and new home automation features. This is great news if you’re a power user, but I wonder if Shortcuts will find a mainstream audience. I couldn’t test those features as it’s not yet available in the beta. Maybe Shortcuts will be added with iOS 12.1 or 12.2. There are many small refinements in iOS 12 that I haven’t listed there. For instance, Portrait Mode has been improved and the Photos app is getting better at showing you personalized recommendations. Or if you have an iPhone X, you’ll be able to add a second face to unlock your phone. iOS 12 looks especially promising if you consider your iPhone as infrastructure. Many people want a device that is as reliable as possible. And iOS 12 should stand out on this front.